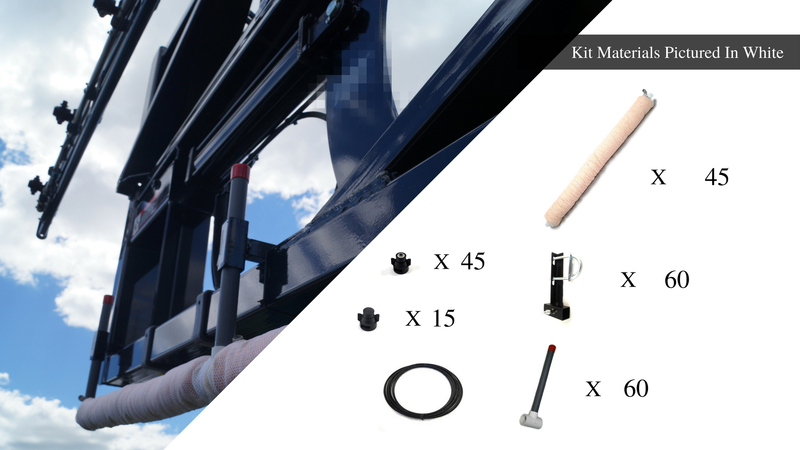 What's Included: Sponge Kit for sprayer boom: bolt on easy attach brackets, and adaptors for spray nozzles. This is our 90 ft. self-propelled kit that can easily be mounted to your existing spray boom! Each 30" sponge section has a separate feed tube that adapts directly to the closest TeeJet or Hypro nozzle body. Nozzle body caps are also included to shut down any tip that is not feeding a sponge section. The special brackets, U-bolts, and risers allow you to easily attach the sponges to your boom quickly. The brackets also allow you to remove the sponges quickly without taking off the U-bolts. Bottom line...you can quickly convert your sprayer into a weed wiper and eliminate taller growing weeds with very little chemical. Adapts to booms 2" and smaller. 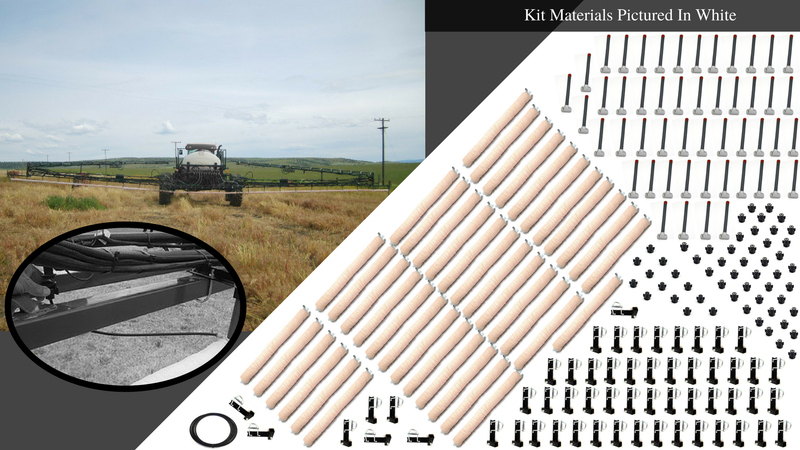 This is our 100 ft. self-propelled kit that can easily be mounted to your existing spray boom! Each 30" sponge section has a separate feed tube that adapts directly to the closest TeeJet or Hypro nozzle body. Nozzle body caps are also included to shut down any tip that is not feeding a sponge section. The special brackets, U-bolts, and risers allow you to easily attach the sponges to your boom quickly. The brackets also allow you to remove the sponges quickly without taking off the U-bolts.